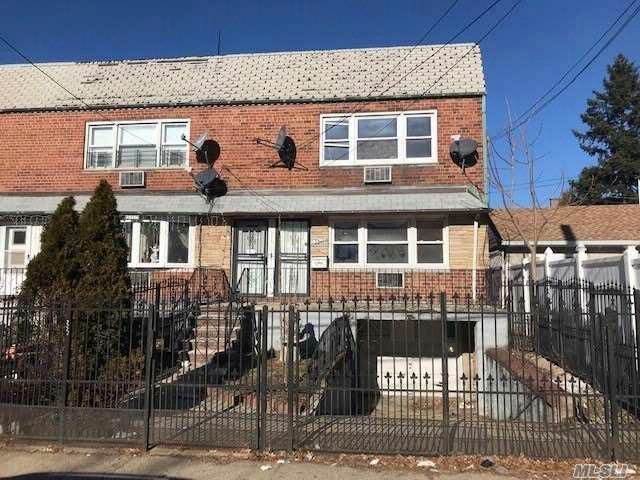 Brick Semi-Attached 2 Family, Three Bedroom Over Three Bedroom Over A Full Basement, Private Backyard, Driveway Plus One Car Garage, 4 Minute Walk To A Subway, Walking Distance To Shopping On Liberty Ave, Nearest Highways Van Wyck Expressway, Jackie Robinson Parkway, Belt Parkway. Why Pay Rent? Call Now!